It is important to me that my family uses American made, natural toothpaste. The problem is, natural toothpaste is hard to find in popular big box stores and grocery stores. Most of the toothpaste on the shelves in these stores is sparkling blue or green in color. Yeah, definitely NOT natural. 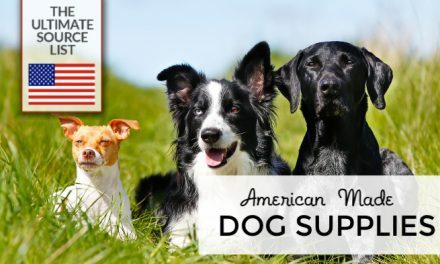 Over the years we have tried many different brands of American made natural toothpaste. If a toothpaste tastes great, fits my ingredients requirements (natural ingredients, no added colors + artificial sweeteners, fluoride free), and leaves our mouths feeling clean, it's a winner for us. Here are our top picks. 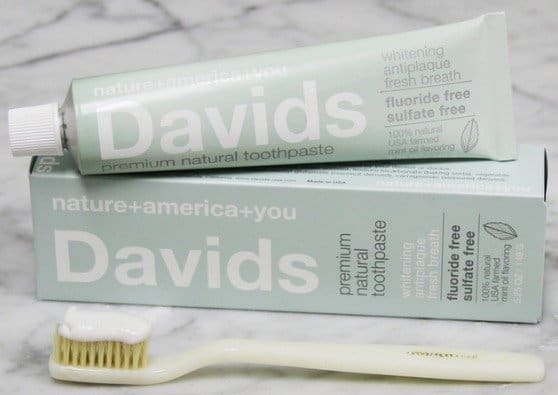 Made in California, Davids toothpaste is our all around family favorite, meaning this is the toothpaste that the whole family agrees on using. I love the ingredients. Davids toothpaste is fluoride free, sulfate free, and contains no artificial sweeteners and color. We all love the taste. 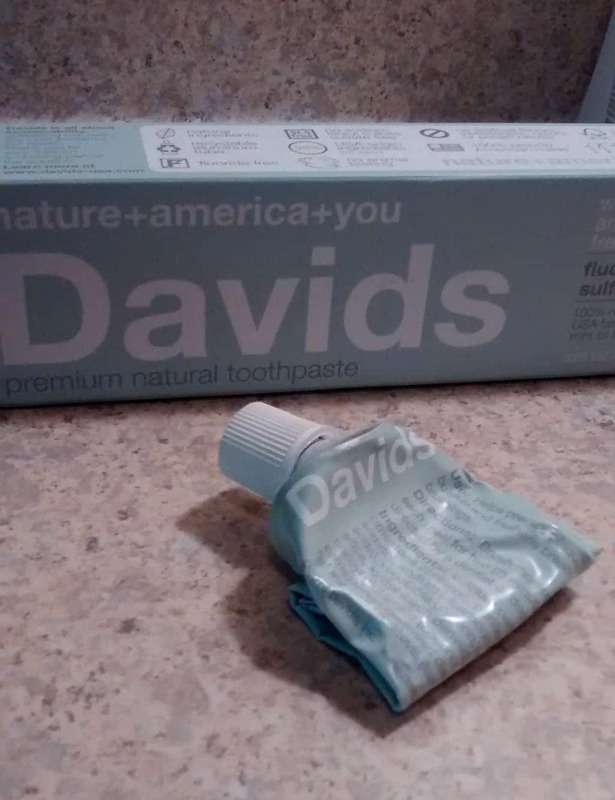 Davids natural toothpaste is minty, but not too “spicy”, as my 6 year old daughter calls it, and it leaves everyones mouth feeling clean and refreshed. 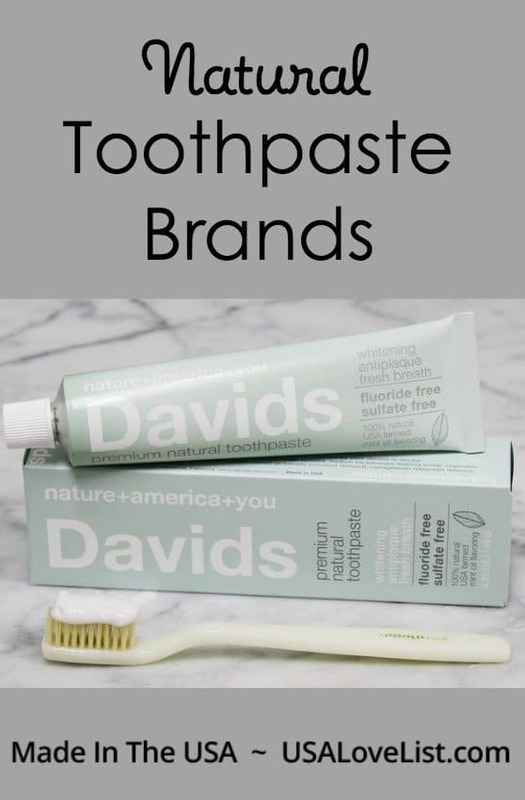 Bonus: the Davids toothpaste tube is made from aluminum, not plastic, so it is recyclable. We learned that this family prefers mint flavored toothpaste, but of all the non mint flavors we tried, Earthpaste Lemon Twist is our top pick. This is technically a “For Kids” toothpaste, but the adults liked the taste more than the youngest kid did. Made with food grade Redmond Clay and flavored with essential oils, Earthpaste Lemon Twist natural toothpaste leaves everyones mouths lemony fresh. Earthpaste natural toothpaste is fluoride free, glycerin free, sulfate free, and contains no artificial colors. The Dental Herb Company Tooth & Gums Paste is a favorite for adults who have a history of gum inflammation and/or bad breath. The natural ingredients in the Tooth & Gums Paste are antimicrobial in nature to prevent/fight the bacteria that causes gum disease & breath issues. This is my hubby's favorite toothpaste as he loves toothpaste with a kick to it and this toothpaste is definitely the “spiciest” of them all. Dental Herb Company Tooth & Gums Paste is for adults only, and contains no synthetic fluoride, and no sulfates. You may have noticed that activated charcoal is all the rage these days. My Magic Mud uses activated charcoal for its detoxifying and whitening properties. Other key ingredients including coconut oil, cacao powder, bentonite clay, and essential oils. Despite its color you'll be surprised how this toothpaste leaves your teeth feeling free of clean when you run your tongue over them. Teeth are noticeably whiter with only a few days of brushing too. This toothpaste is free fluoride, SLS, glycerin, triclosan, foaming agents, gluten, and GMOs. 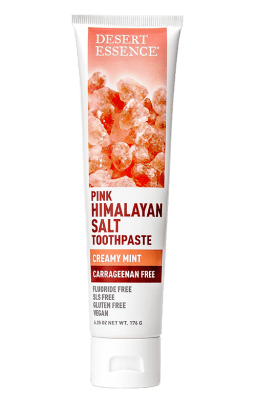 Desert Essence’s NEW Pink Himalayan Salt Toothpaste is specially formulated to gently clean teeth and freshen breath without carrageenan. Each ingredient was carefully selected to keep teeth and gums healthy and clean. Most common dental concerns derive from an over acidic pH condition. Since Pink Himalayan Salt helps to neutralize the alkalinity, it's the showcased ingredient. Pink Himalayan Salt and Virgin Coconut Oil help remove impurities, while a botanical blend of oils and extracts provide complete care for teeth and gums. Baking soda effectively but gently clean teeth, while Zinc Citrate helps reduce buildup. This toothpaste is fluoride-, SLS-, and Gluten- Free, as well as vegan. It's made in the USA with globally sourced ingredients. We've always been big fans of RADIUS. The company makes its non-toxic oral care products in the USA and it's a Certified Women-Owned Business. Can it get any better? In fact, it can! 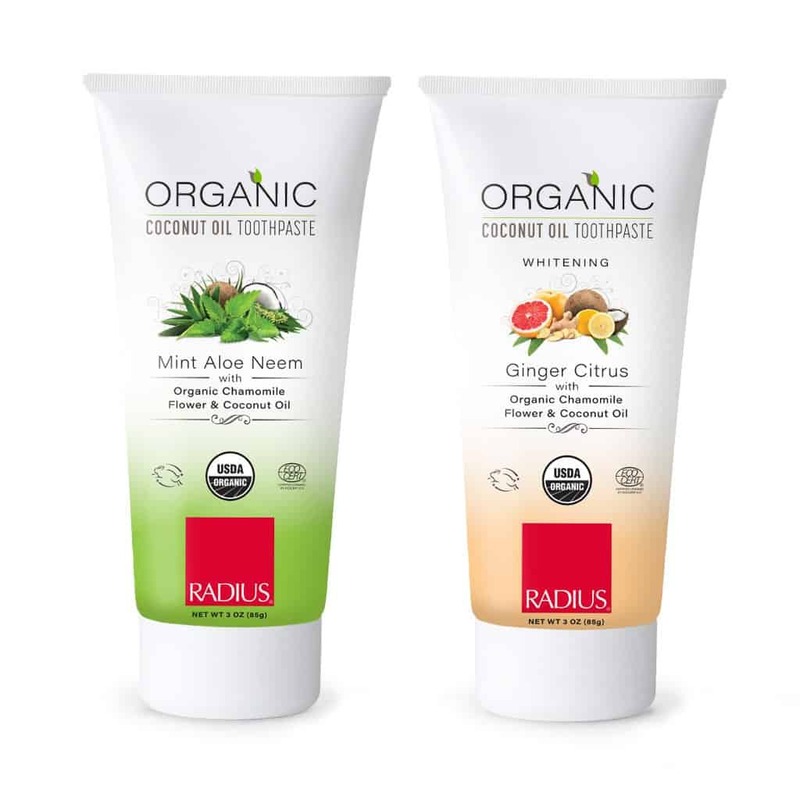 RADIUS just came out with an Organic Coconut Oil Toothpaste that is organic, vegan, chemical-free, cruelty-free and dye-free. Coconut oil naturally whitens teeth. All the ingredients are safe; you won’t see any chemicals, dyes, pesticides, GMOs, glutens, fluoride, saccharin, SLS, SLES, carrageenan, parabens, detergents, or synthetics of any kind. Just simple and safe ingredients. Select from two flavors with unique properties – Antibacterial Mint, Aloe & Neem which aims to reduce the risk of gingivitis and cavities and Ginger Citrus which anti-inflammatory ingredients help prevent gum disease. Tom's of Maine natural children's toothpaste is the toothpaste my kids' have been using since they have had teeth. It is still my daughter's favorite toothpaste, but my son, at age 8, feels he is too old for a “children's” toothpaste. Tom's of Maine children's toothpaste is available fluoride free, has natural strawberry flavorings, and is dye free. Follow USA Love List's board Bathroom Necessities on Pinterest. I would like to try this out, to see if this is better than what I already use. The only one I’ve heard of and tried is Tom’s – and it is great! I’m happy to find out there are others to try!!! I have used EARTHPASTE and Toms and I do like them very much. I never tried the others but I would like to. I had not tried these brands before. I’m interested in trying David’s toothpaste. Thanks for the review. Thank you for the suggestions! I placed an order for David’s and will give it a try 🙂 Curious – do you also recommend Tom’s adult versions, or just the children’s? My apologies if I missed that in your review. Very cool. I too, like my family to only use natural toothpastes. I have not heard of a few of these, so I will check them out. I also don’t like sorbitol in my toothpaste so it is extra hard to find something that works. 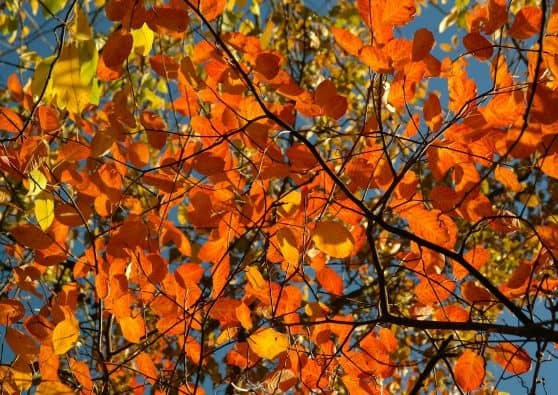 I am excited to learn more about these. The lemon twist sounds interesting — and I love lemon! I am curious to know if you have heard of any natural toothpaste for sensitive teeth. Eco-Dent makes a made-in-US tooth POWDER which my husband and I switched to years ago. We love it and will never go back to paste. 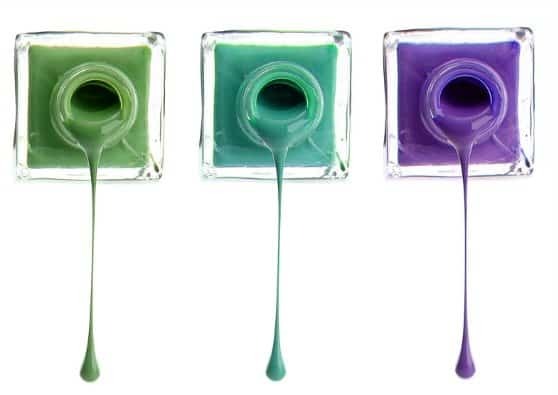 Powders are more eco-friendly to ship as they don’t have any water in them so you use a much smaller amount than paste. Vitacost offers this powder for the lowest price. I love Earthpaste and love all the flavors. They really help keep teeth white and it tastes great. I love that you can swallow the tootpaste instead of spitting out, if you want! I’ve been trying out a few natural toothpowders and rinses the last few years. I’ve heard of Tom’s of Maine and Earthpaste, but had not heard of the David’s or The Dental Herb Company brands. I know from looking for more natural toothpastes. powders, and rinses, many that claim to be natural turn out not to be so natural once you look at their ingredients lists. My family uses a couple of these brands, but I have not heard of David’s before. I am always looking for good toothpaste that cleans but does not have the nasty ingredients that some of the larger brands have. I will check these out. Tom’s is one of the best! I ‘m so happy to see this list! I can’t wait to try these and make the switch! Thanks for the list! Thanks for the list! I’m finding this after I JUST bought 4 tubes of big-label brand from the grocery store because I got a good deal :/. But this weekend brought back my zeal from 10 years ago of finding made-in-the-US items. And that brought me to your site. So thank you! I have the American-made toothbrushes to go along with these pastes—so now I’m on my way!! I look forward to reading all of your posts! Thank you for these Made in America products. I just read “China Rx” which was shocking and disturbing. There was a section in the book which told about toothpaste made in China making its way to our hospitals and Hotels. I am more determined to find a good USA toothpaste and will try to avoid anything from China if that is possible these days.